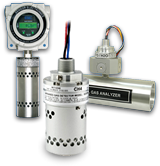 A new gas detector that spots dangerous concentrations of ethanol in biofuel distillation and distribution operations has been developed by Sensor Electronics of Minneapolis. 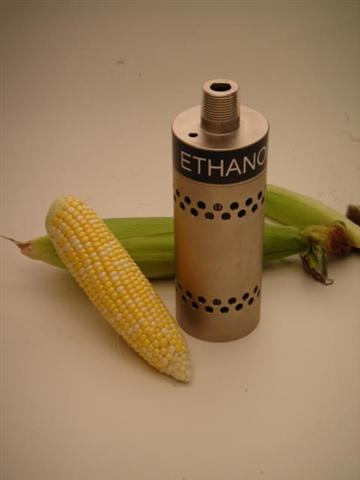 Because it “see” even traces of ethanol, this new detector is especially suited for protecting biofuel refineries, storage tanks, pipelines, pumping stations and similar danger points. Biofuel is extremely volatile and explosive; even in small concentrations it can lead to stupefaction and even asphyxiation. Stainless-steel construction means the detector works indoors or out. Shrugging off fog, smog, rain, snow, dust, dirt, aerosols, corrosion, contamination, temperature/humidity extremes. And “tunnel vision” means it ignores other gases, concentrates on ethanol only. If ethanol levels increase the detector can turn on alarms to warn personnel; if concentrations continue to go up the detector can turn on fans to flood indoor areas with outside air.